Nerf Elite RaptorStrike Just $20.99! Down From $50! 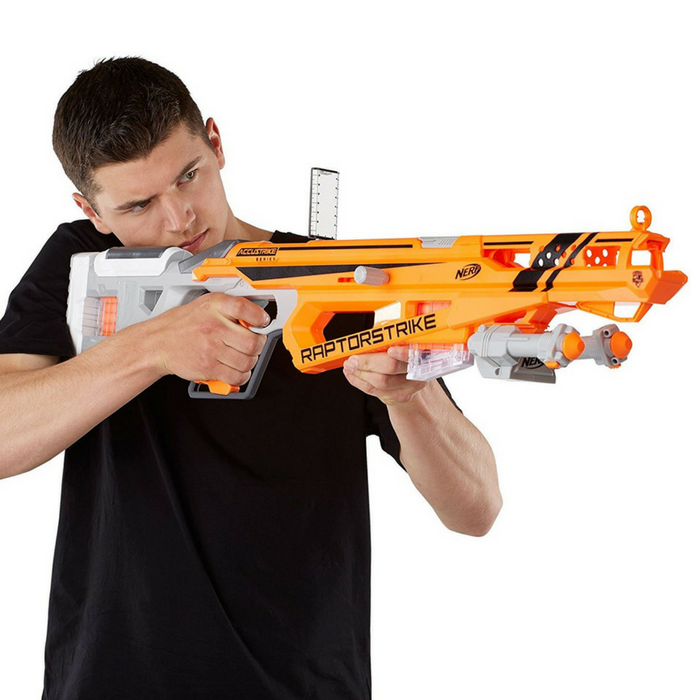 You are here: Home / Great Deals / Amazon Deals / Nerf Elite RaptorStrike Just $20.99! Down From $50! Amazon has this Nerf Elite RaptorStrike on sale for just $20.99 down from $49.99 PLUS FREE shipping with Amazon Prime or for orders $25 or more! Kids can strike with confidence and skill as they fire darts designed for accuracy! The Nerf N-Strike Elite RaptorStrike blaster is part of the AccuStrike Series, which features darts designed for greater accuracy. Hit the mark with the precision of the most accurate Nerf darts. The bolt-action blaster comes with 2 six-dart clips and 18 darts to keep battlers stocked for their Nerf battles. Use the bipod to stabilize shots; the legs extend to adjust the height. The blaster has a pop-up sight for targeting.